The inner city space needed to address several key issues described within the client's brief. Firstly, there was a need to deposit some 60 cubic metres of excavated spoil from building works within the house. Secondly, a newly modified kitchen demanded a seamless transition between the indoor and outdoor environment, and thirdly, both the client and the designer were committed to the idea of creating an exotic tropical sanctuary hidden away from the bustle of urban life. The basic layout relied on the inherent geometry of the Victorian house and its position within a comparatively small walled triangular plot. In addition, the retained trees provided points of visual reference and a link to the past. 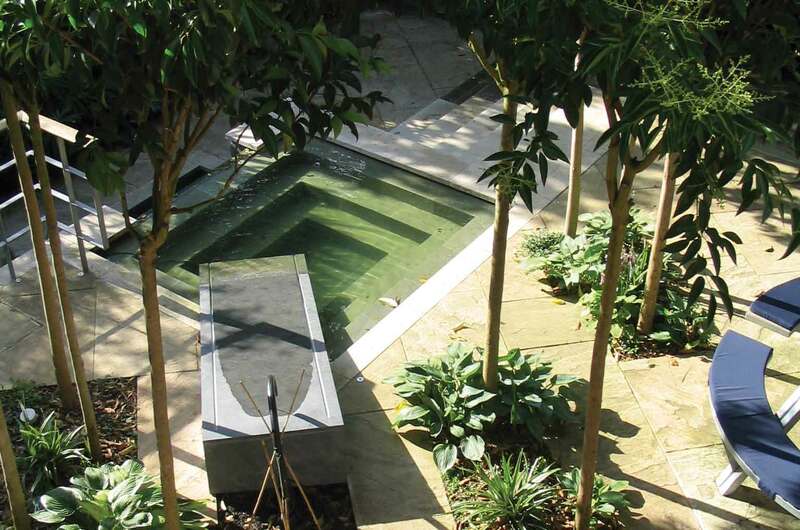 The essential ingredients comprised of natural stone paving, timber, running water, deep water pools, lush planting of evergreen and deciduous plant species and feature lighting. Access into the garden was offered from both the kitchen and the gated side entrance. 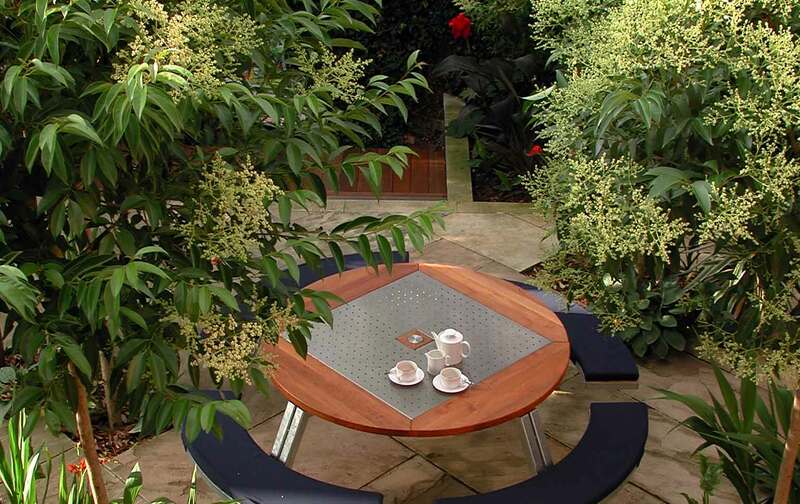 This led to a large paved terrace interspersed with island planting of Chinese privet trees and large leafed perennials, placed amongst a carpet of evergreen groundcover. 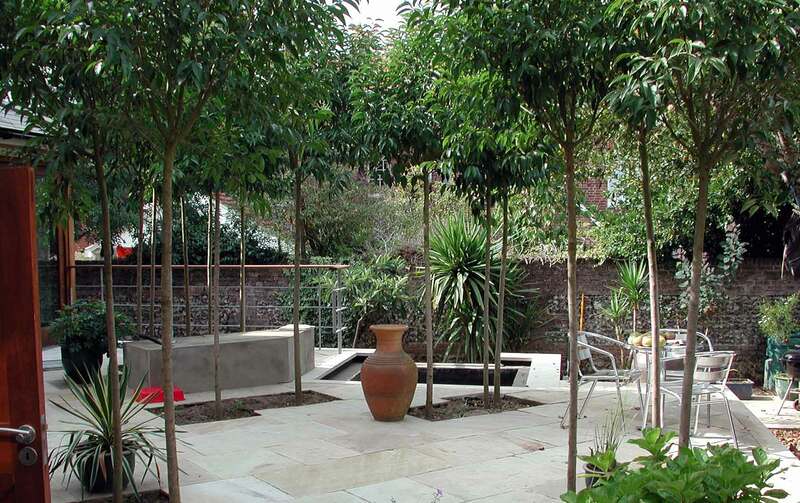 The colonnade of trees provided visual interest and welcome shade from the midday summer sun. 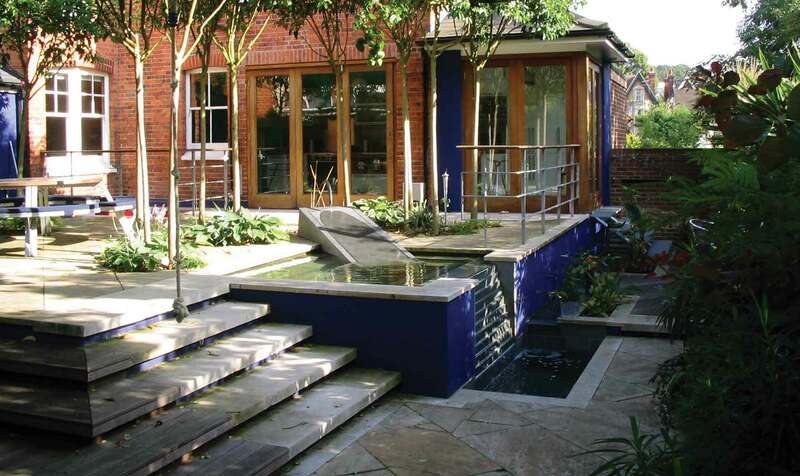 In order to reinforce the notion of the outdoor room and its link with the kitchen, limestone has been used internally and externally across a level threshold. The upper terrace descends via broad limestone steps to a lower paved area and two terraced hardwood timber decks. 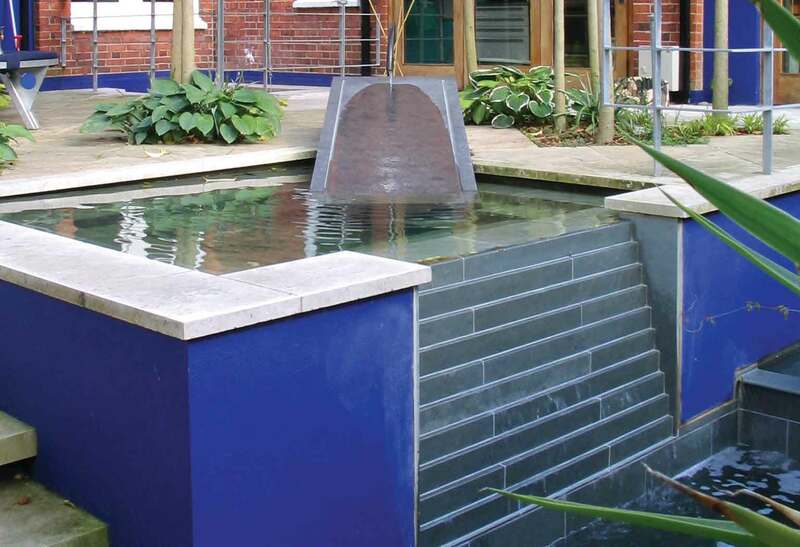 The paved areas are complemented by three pools lined in slate variously fed by wall fountains, stepped falls and an inclined slate monolith set within the upper terrace. The planting areas surrounding the lower terraces are massed with tropical like plant species providing seasonal colour and verdant foliage texture. 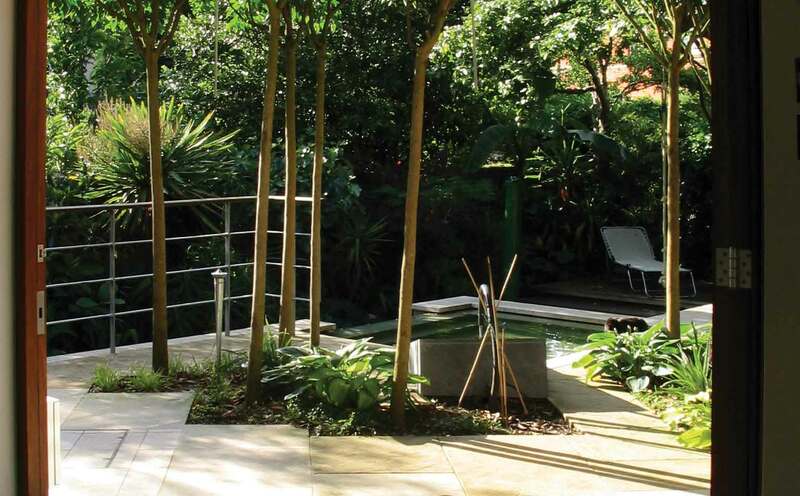 At night the garden benefits from the use of low wattage LED lighting to highlight the pools, steps, terrace edging, feature plants and trees.